Since my first game jam in 2013, I’ve been entranced with writing stories for games. After working on smaller titles for a while, I was hired in 2015 as a writer at Larian Studios. 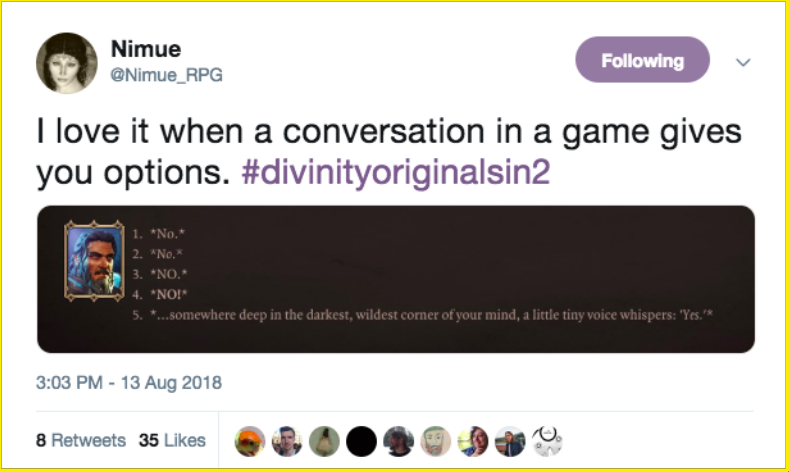 I spent 4 very happy years writing at Larian, 2.5 of them on the core story, characters and dialogues of Divinity: Original Sin 2, and 1.5 years on as-yet unannounced projects. My award-winning games writing tends to be bright and rich… with a skew towards the strange whenever I can get away with it. If you’d like to hire me for games writing, editing or consultancy, get in touch! Currently working with Dreamfeel on a sequence for their upcoming game. More info can be found here. My first interactive narrative game, made in Twine for Global Gamecraft in Derry in 2013. Play here. Wrote core story, created characters, designed situations & quests, & wrote dialogues and items. More here. Made in Unity with Fungus for Global Game Jam 2016. More info and download available here. Wrote combat dialogues and item descriptions for the Enhanced Edition. More here. 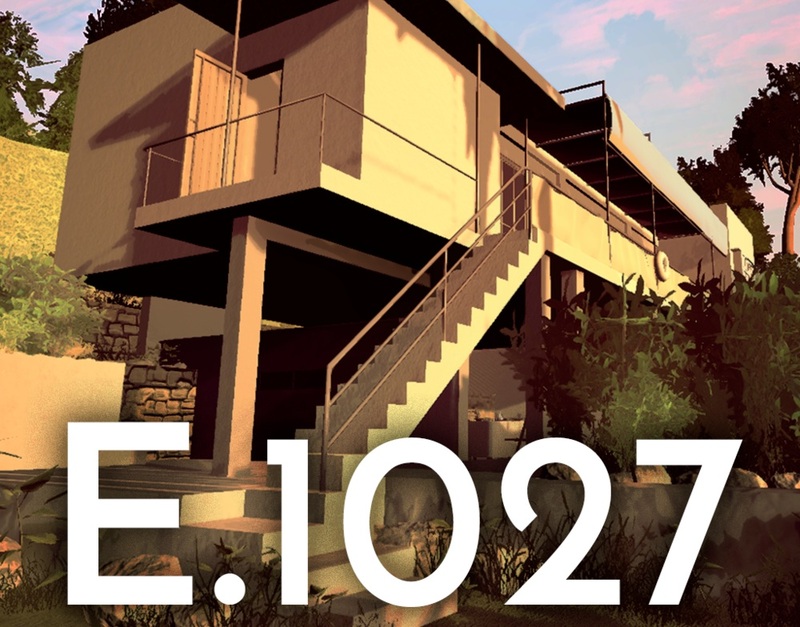 Hired in 2015 to write story and dialogues of game based on Eileen Gray. More here.